Keeping your papers organized is hard enough back at the office, but when you're on the road people shove loose papers at you -- memos, agendas, brochures, projections, seminar schedules, notes, important information, but it can stray. Problem solved with The Thin Line hole punch! 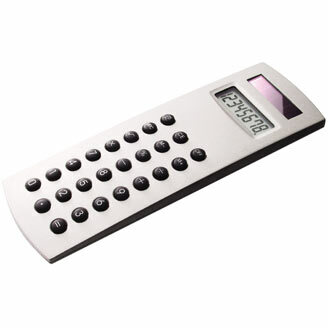 Now you can carry your own individual hole punch with you. 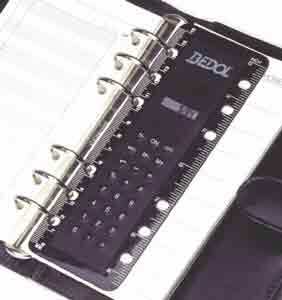 And you don't have to remove the hole punch from the binder to use! 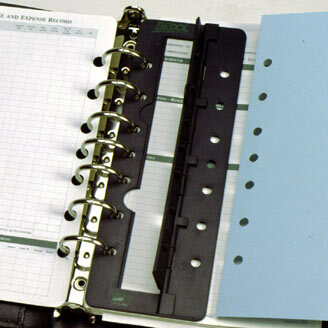 Just close punch hinge on the loose paper, and presto, its punched with exactly the correct holes for your binder. . Composed of a sleek black plastic, the metal-free construction ensures that you stay organized with safe access at all times. Fits the following brands, DayTimer Pocket size, Franklin Covey "Classic" size, Day Runner Medium size approxamately 8 inch paper. Punches 7 holes.